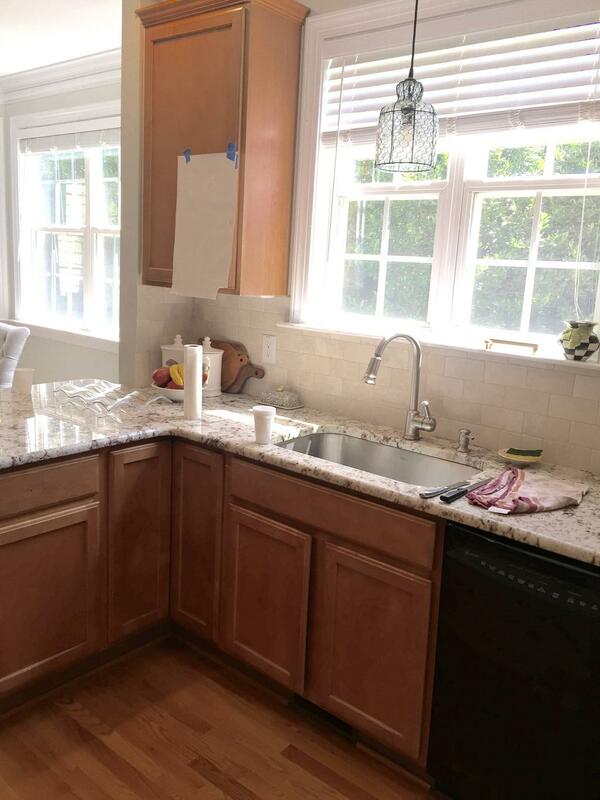 My customer saw this color, Benjamin Moore Balboa Mist (OC-27) in a neighbor’s home and fell in love with it. 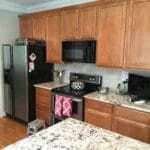 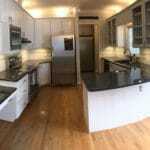 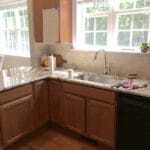 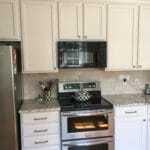 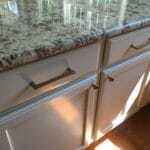 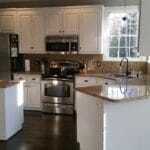 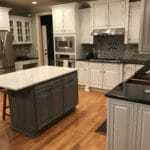 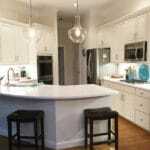 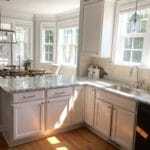 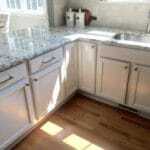 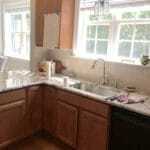 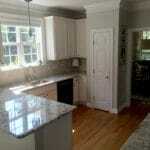 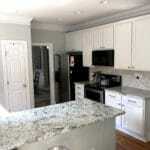 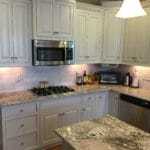 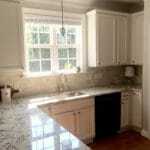 The only problem was, her kitchen was slightly darker, with more shadows, so she wasn’t sure if it would be too dark. 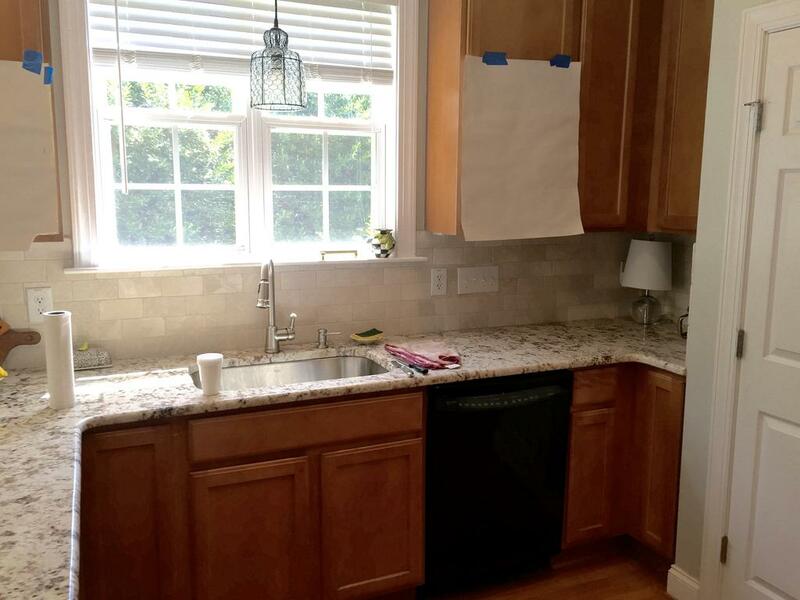 We solved that problem by lightening it 50%. 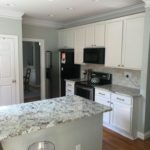 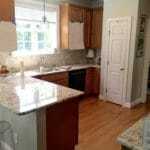 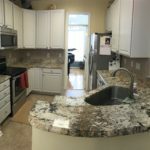 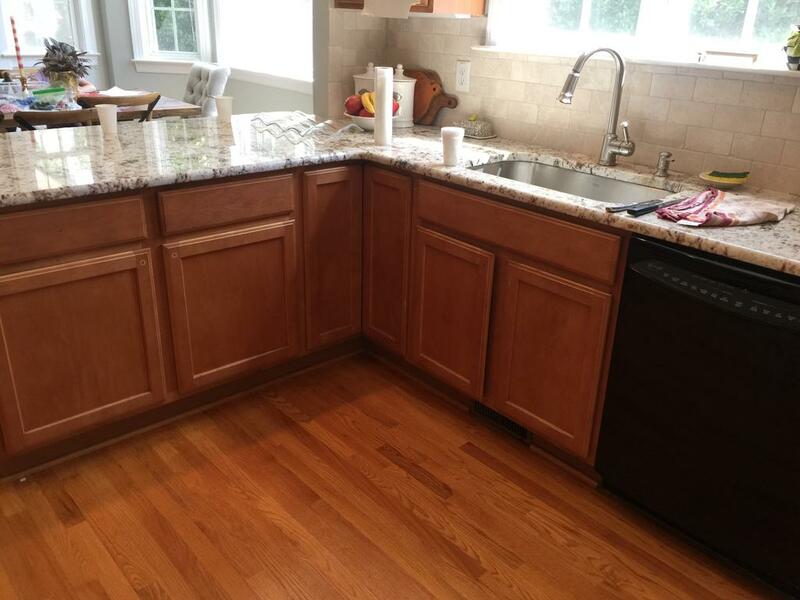 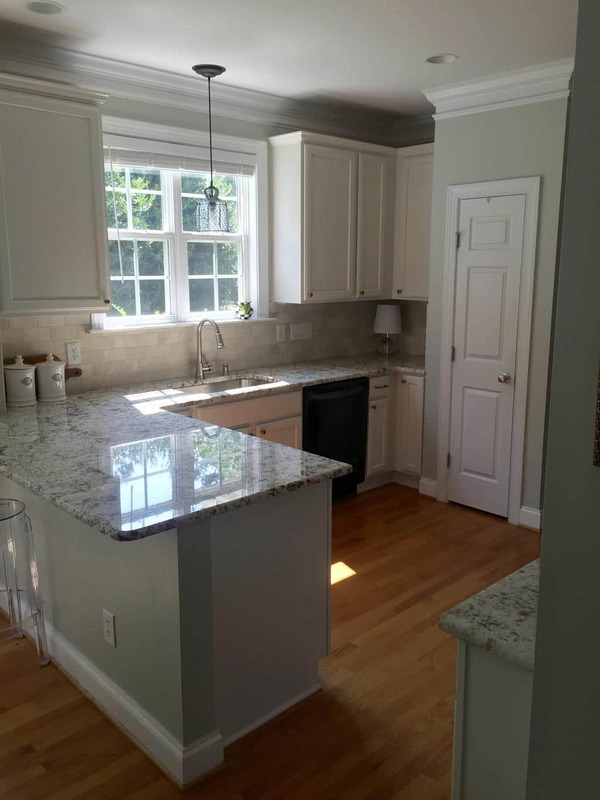 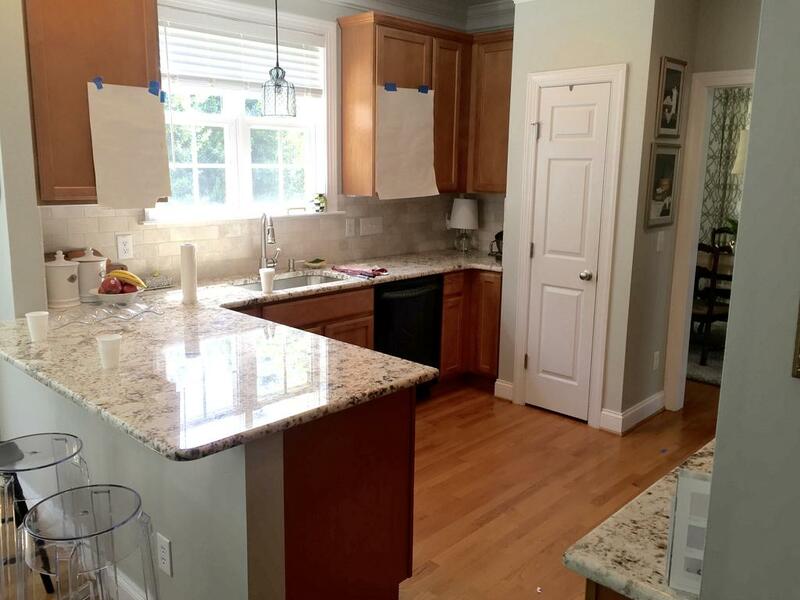 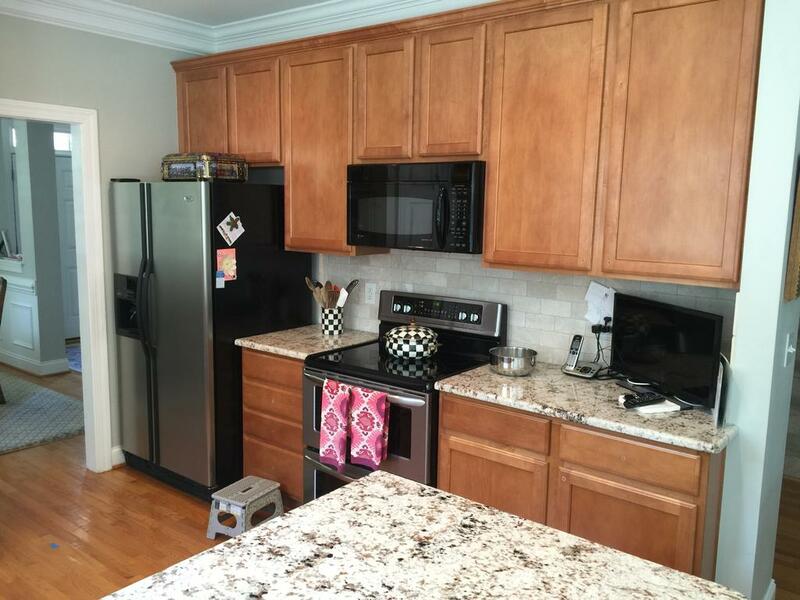 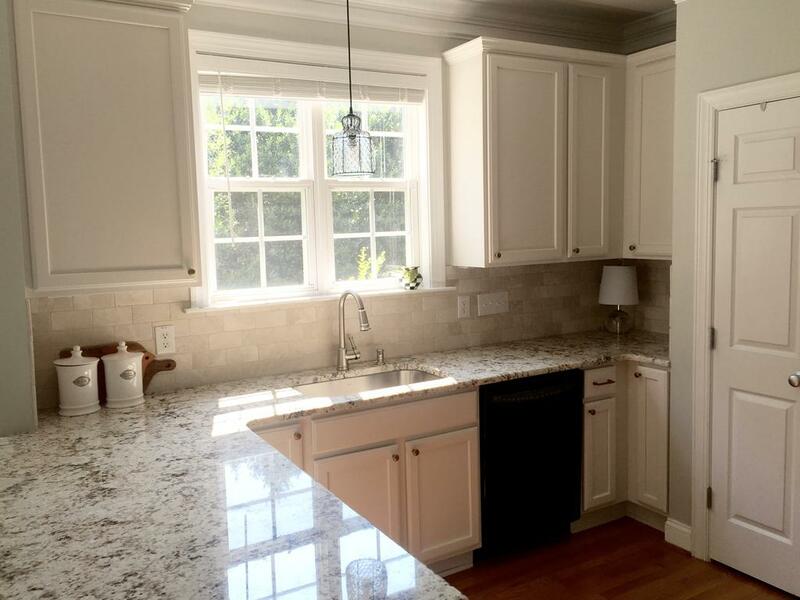 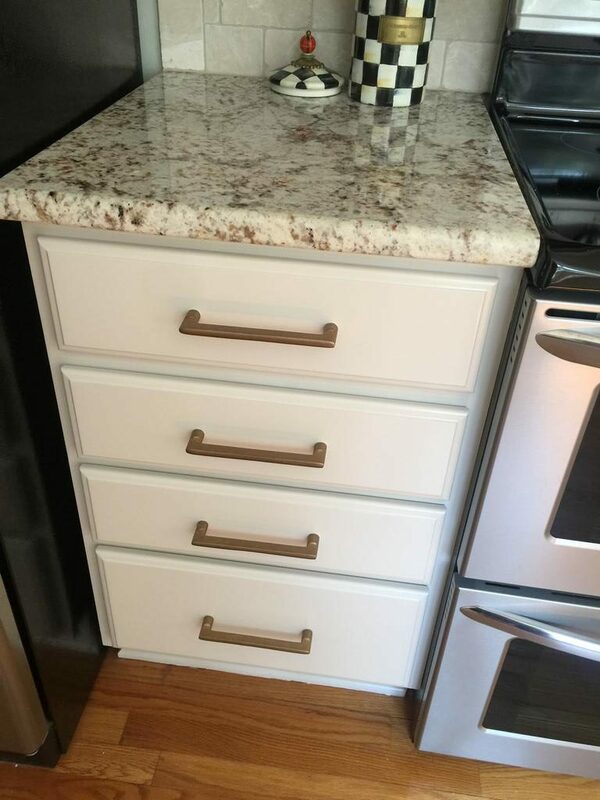 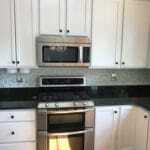 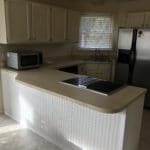 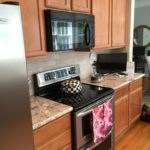 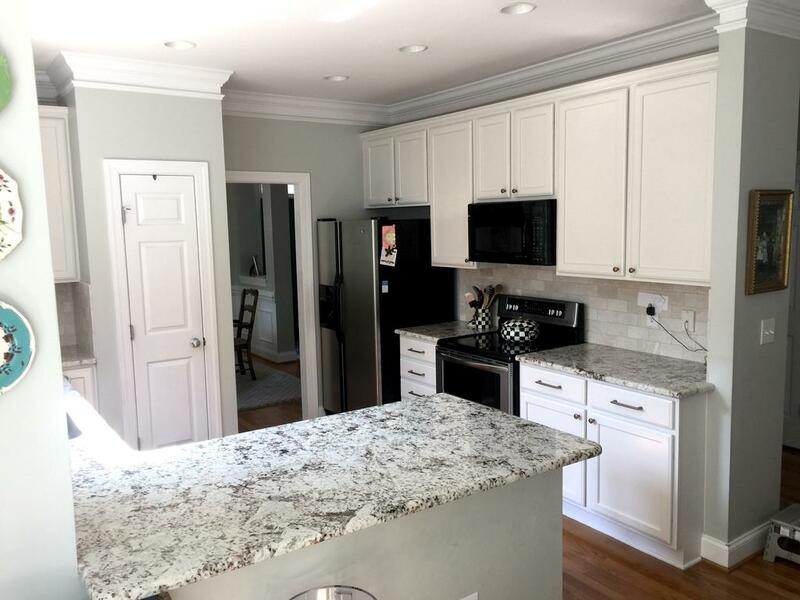 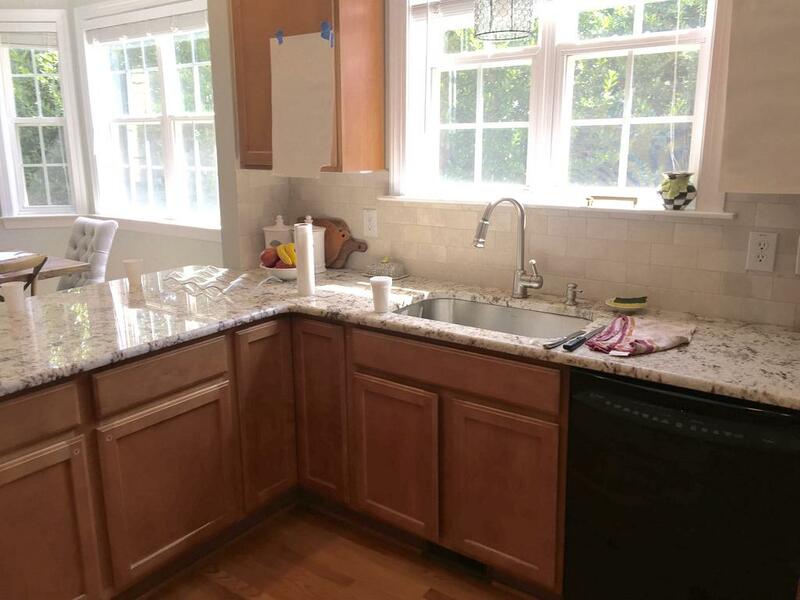 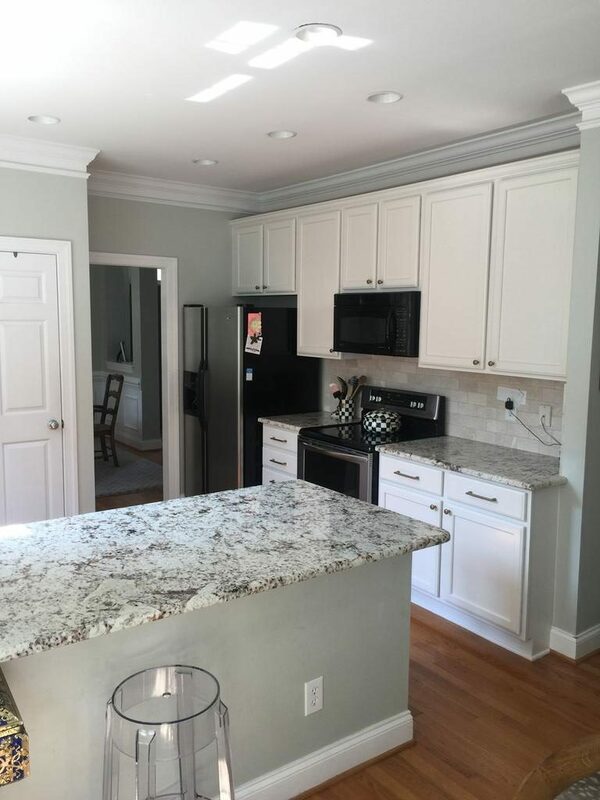 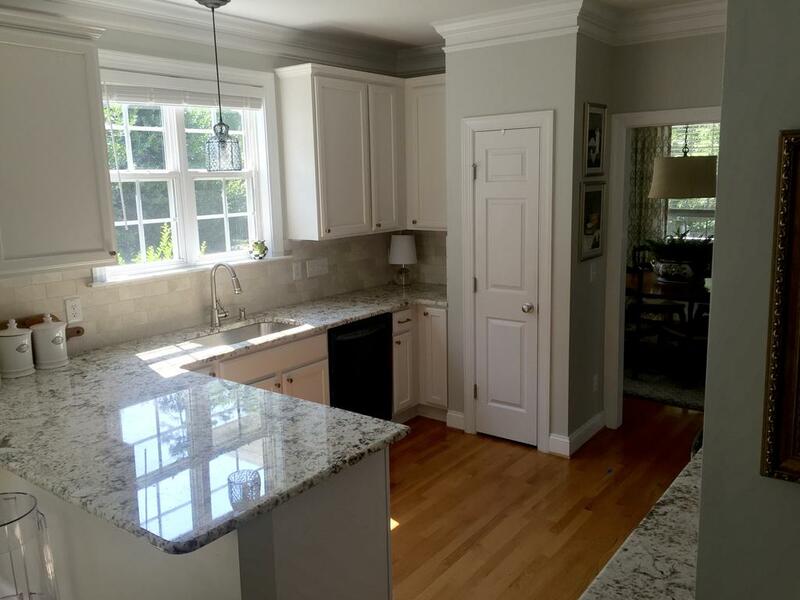 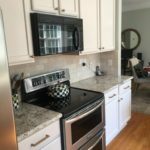 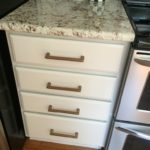 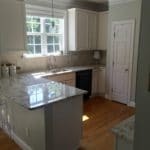 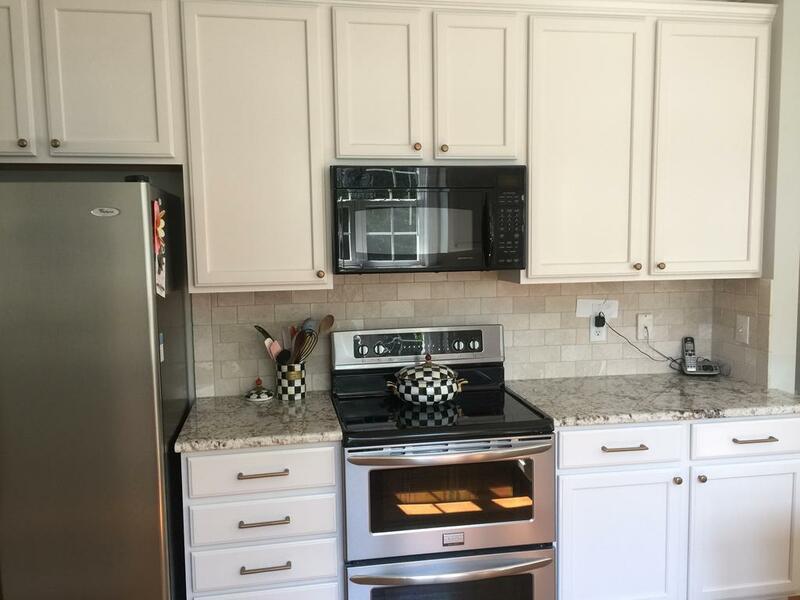 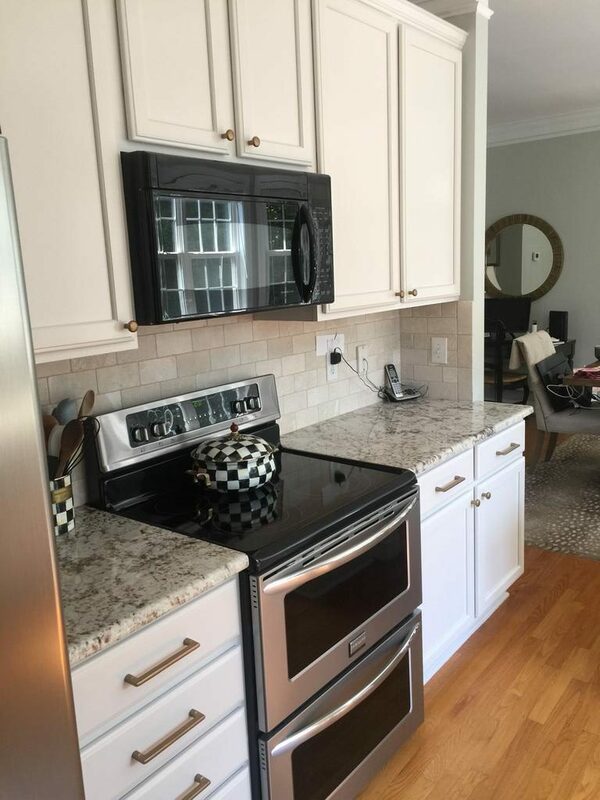 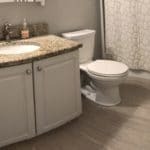 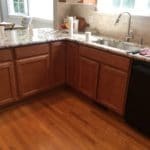 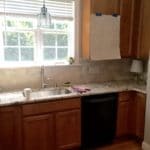 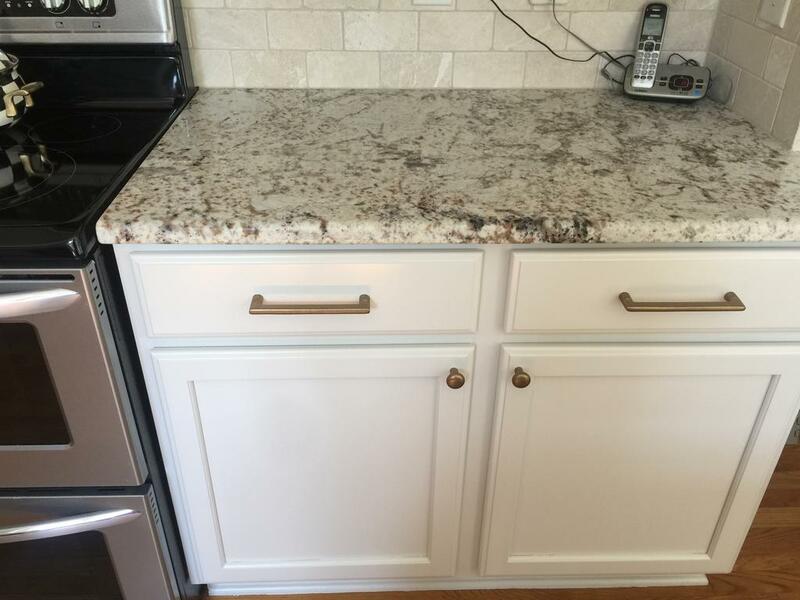 Now she has the gorgeous taupe undertones (a touch of beige with a touch of gray), which blend perfectly with her travertine backsplash, and her gold flecked granite. 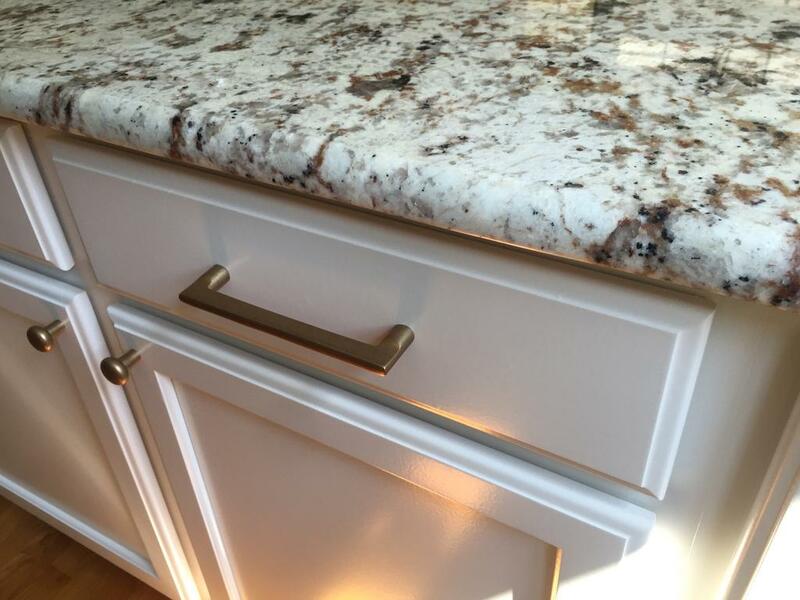 And check out the new hardware! 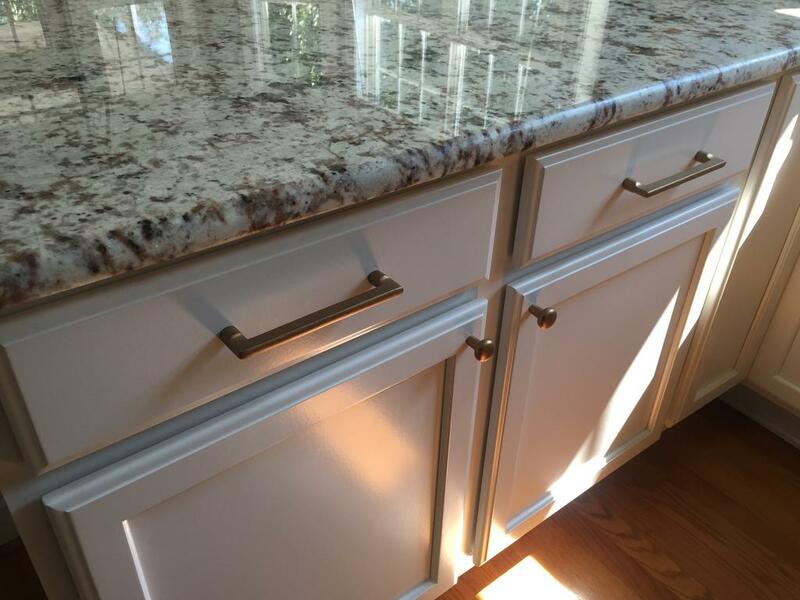 Solid (aged) brass. 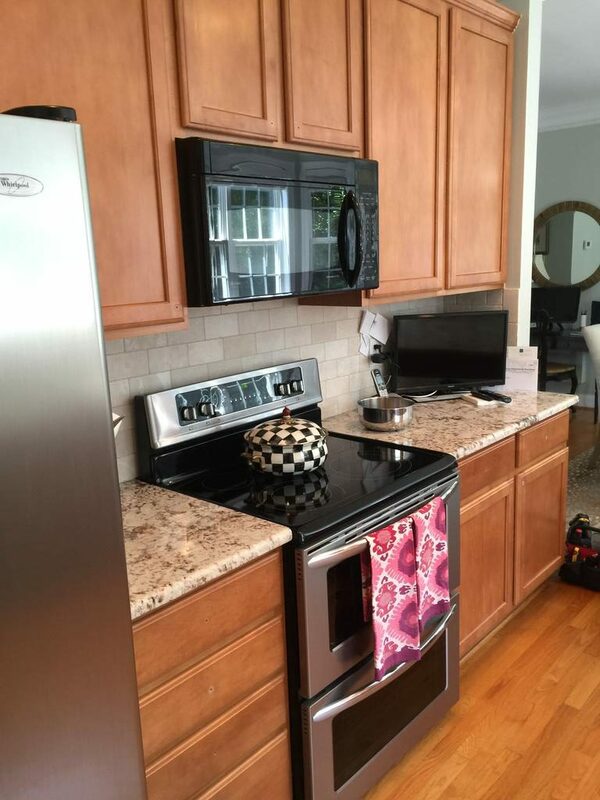 So trendy and right on point. 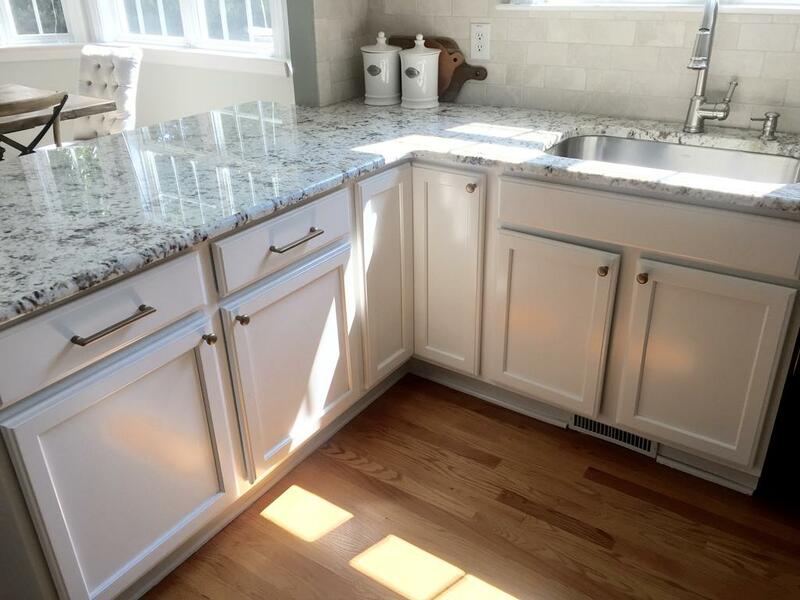 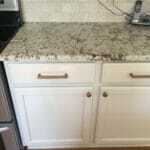 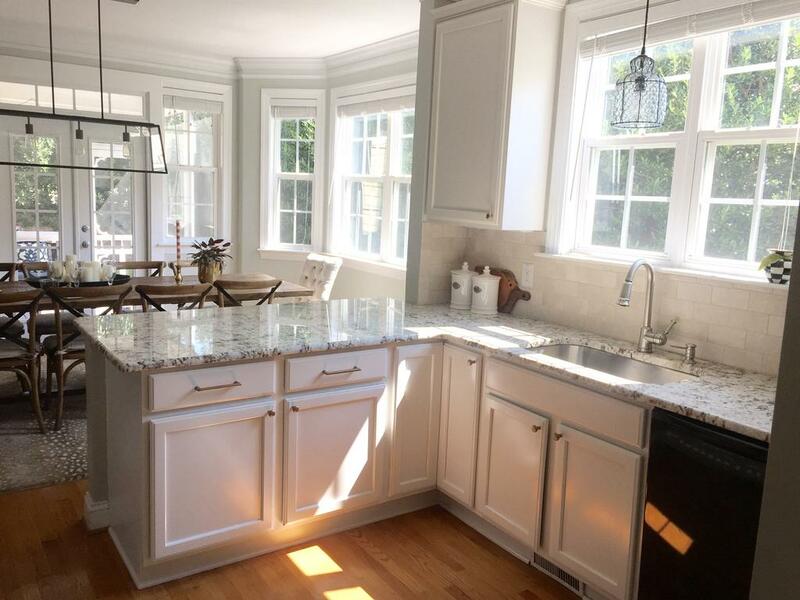 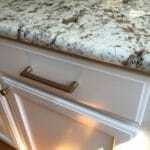 The color picks up the flecks from the granite and really brings home that farmhouse chic feeling.